SPA/RAC is currently recruiting a Project Officer to support the implementation of the “project for the conservation of marine turtles in the Mediterranean” (Marine Turtles Project). Candidates should send their application by e-mail no later than 18 July 2018. The Marine turtles Project is a Multilateral cooperation project financially supported by the MAVA Foundation for Nature and executed by ARCHELON, DEKAMER, MEDASSET, MedPAN, NMPZ, SPA/RAC, WWF Greece and WWF Turkey under the overall coordination SPA/RAC. The project started in June 2017 and will be completed in May 2020. The beneficiary countries are Albania, Egypt, Greece, Lebanon, Libya, Spain, Tunisia and Turkey. Make consultations with the relevant national authorities for the selection of the national team that will implement the monitoring programmes during the nesting season in known and new areas. Make the necessary agreements with project partners in order to analyse the genetic, isotope and temperature samples collected from countries. 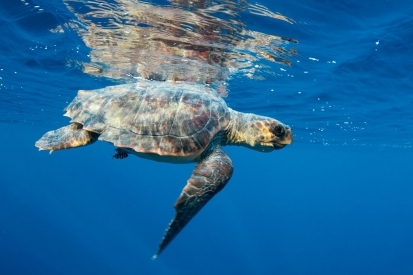 Organise the Mediterranean workshop on important turtle areas in collaboration with project partners and any relevant national or regional environmental institutions. Ensure the integration of the collected data from known and new nesting areas in the Mediterranean Biodiversity Platform. Make consultations with the relevant national authorities for the selection of the national/international consultant who will be in charge of the preparation of National Action Plan as planned by the project. Supervise the implementation of the strategy E “reduce illegal trade of marine turtles in Tunisia” in close collaboration with the national designated team. Establish a collaborative process for the implementation of the strategy E with the relevant environmental and fisheries authorities as well as national Institutions, NGOs and local communities. The project will be implemented during a two-year period as a maximum. The initial engagement will be for 12 months, subject to a probationary period of 3 months, and may be subject to an extension of one additional year. Candidates should send their application by e-mail no later than 18 July 2018, to the following address: car-asp@spa-rac.org.